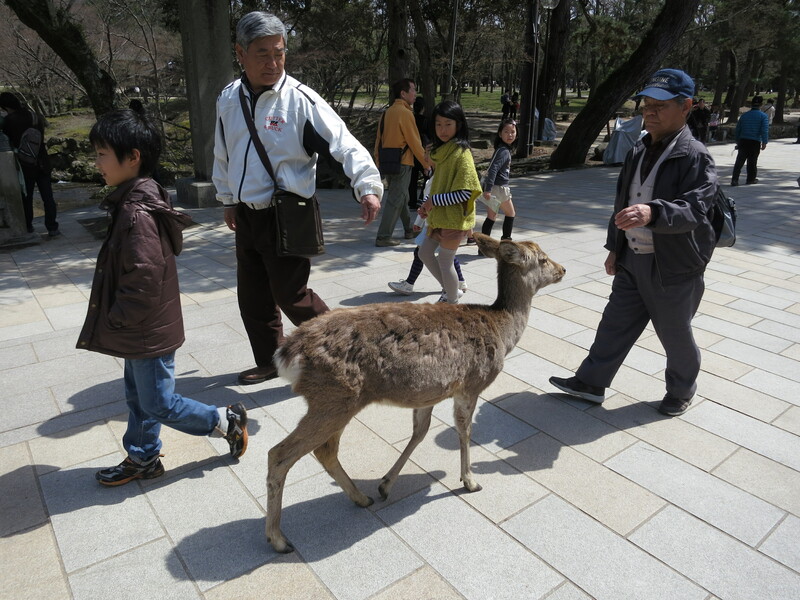 On the strong recommendation of our Kansai tour guide Michael, a day trip was made to the historic capital of Nara. It is a short 45 minute journey from Osaka on the JR Yamatoji Rapid train, as long as you get on in the correct direction, which in the afternoon we thought was a silly idea and one that we neglected to use. Two things defined Nara, deer and moss. Deer are to Nara what canals are to Venice and murder is to Washington DC – they make the place. They roam freely through the streets, tamed and trained though years of conditioning to pose for photos and stalk tourists for food. And they are protected. A plethora of local laws dictate what can and can’t be done with deer, such as limiting food supplies to the biscuits sold by roadside vendors, and the townsfolk are extremely protective. It goes without saying that deer have right-of-way on the roads. 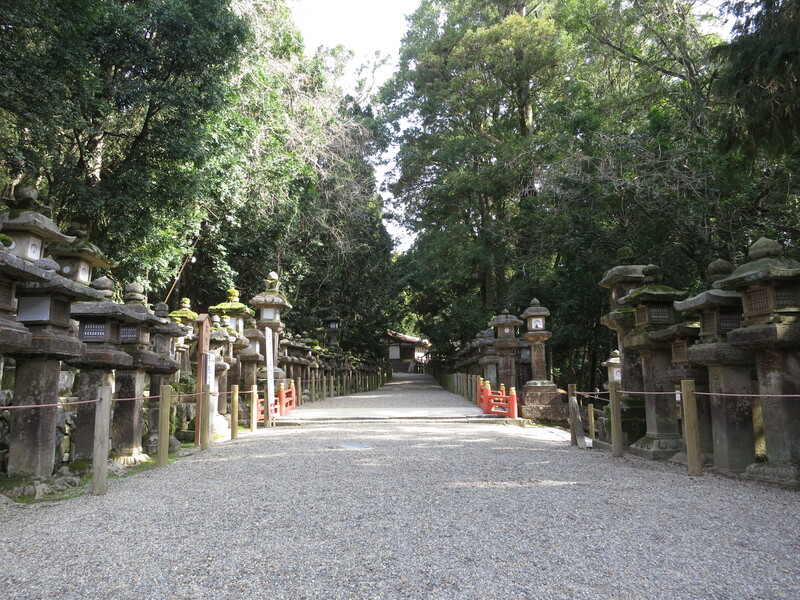 Moss is another prevalent feature of Nara. It may simply be the age of some of the features, with some over a millennium in age, but it was quite prominent. I’m not entirely sure whether we copied others or not to begin with, but our enthusiasm for taking photographs of this potentially prehistoric moss was readily copied by other tourists. But Nara is not all about flora and fauna, it was once a capital many centuries ago, before even Kyoto, and also a place where the Buddhist beliefs and Shinto rituals began to forge a strangehold, as evidenced by the majestic temples and shrines nestled within the foothills on the periphery of the city centre. I attempted to cleanse myself of bad luck and spirits by showering myself in the smoke from a burning incense stick, but I don’t think I did it well enough – I got sick a couple of days later.